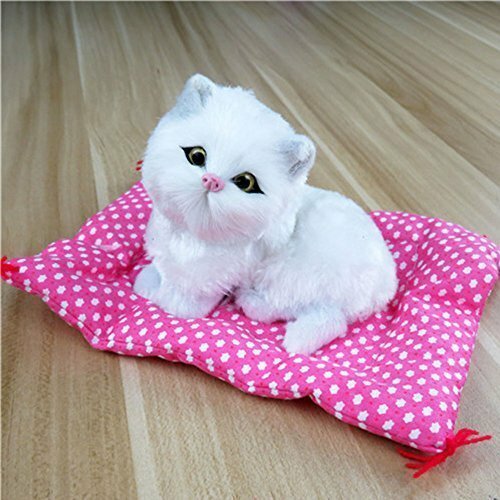 This section is the cloth pad pet cat craft toy, super cute sleeping cat and squatting cat, and press the tab at the kitty cat's belly will make meow sound. This pet will give your life a lot of happiness, you can put it in the bedroom, living room, desk and car and so on, which is pretty good. Cloth pad and kittens are stick together. There is a small tag on kitten back, she will call three times when you click on the tag. Meow meow meow! So cute! Made of plush, cotton and leather. It is very soft and comfortable, like a real cat. Can be used for the baby early education, baby bed accompany toys. Perfect as kids toys,birthday gifts,holiday gifts,home decoration. Product size (l x w x h): 13. 00 x 10. 00 x 6. 00 cm / 5. 12 x 3. 94 x 2. 36 inches. If you have any questions about this product by Toonol, contact us by completing and submitting the form below. If you are looking for a specif part number, please include it with your message. Kids Preferred Llama Llama Red Pajama Jack-in-The-Box, 7"